To download the pdf file click: Message to politicians in the Netherlands. The replies we have received so far from MEPs have been encouraging. The essential idea is simple and can be stated in a few sentences. The present British government has been captured by a small group of hardline politicians who have always opposed Britain’s membership of the EU on dogmatic grounds, but who do not represent the views of the British people as a whole. Many of those who voted for Brexit in the referendum did so for reasons which have little to do with Britain’s real relationship with the EU. The British people now need to be given time to think through the practical implications of leaving the EU, to have the opportunity to reflect further on whether Brexit really is in the interests of the country and possibly change their mind. It is also probable that political priorities will change as other political events come to seem more important, and there remains the real possibility that the British electorate will elect a new government in the near future. The proposal is, therefore, that the ’EU27’ Member States should, at an appropriate moment, voluntarily (i.e. without being requested by the British government) decide unanimously to extend the Brexit negotiating period under Article 50 of the Treaty from two to five or six years – not an unreasonable time for such a complex negotiation. At the same time the ‘27’ should refuse any transition period, which only complicates matters and muddies the waters. The present British government would probably wish to refuse such an ‘offer’, but, faced with the possibility of a disastrous alternative, it seems most likely that the British Parliament would insist that the government did indeed accept it. 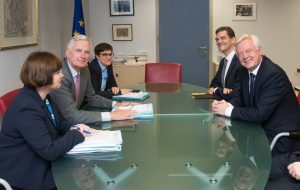 The negotiations so far have shown that there are any number of difficult detailed but important issues which have to be properly dealt with and that the two-year period for departure provided under Article 50 of the Treaty is wholly inadequate for resolving them. As these issues are worked through, it may become clearer just how unsatisfactory Brexit will be for Britain, which may affect public opinion in the country. Britain has been a difficult but ultimately effective Member of the EU. Many EU Member States would on balance prefer Britain to be in the EU than outside. Others might be more hesitant. So it is important to note that under this proposal the ‘27’ would not be asked to take a view on Britain’s continued membership, but merely to decide on whether the negotiations should be extended. At some future date the British government may then seek to withdraw its Article 50 notice; that would be the point at which the ‘27’ would have to decide on Britain’s continued membership or not. 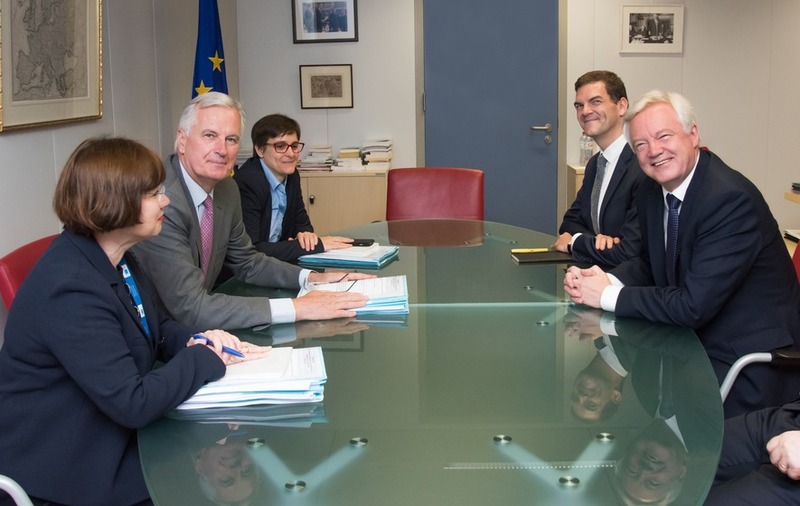 One way to avoid the looming catastrophe of Brexit would be for the 27 EU Member States simply and unilaterally to extend the negotiating period from two years to five – without waiting for a request to do so from the British government. They could use the argument that two years was simply too short for such a complex negotiation. I think at the same time they should refuse any transition period. The British government would not like this proposal and could of course still insist on leaving after two years. But, since the present negotiations are leading to a cliff edge and to Britain simply crashing out of the EU, it seems highly unlikely that there would be a majority in Parliament to exit after two years when five years was on offer and available. Anything could then happen in the following three years. In, very likely, a deep recession, Britain might come to its senses again. And a new government could well be in power. My argument is set out in more detail in my recently published article in Dantemag which can be found here. This is my first blog post for a year and a half. Then, early in 2016, the risk of environmental destruction certainly appeared as the greatest problem facing humankind. Internationally this was publicly acknowledged by the adoption on 12 December 2015 of the Paris Agreement by 195 negotiating parties. Some of course perceived this problem as intrinsically linked to social injustice across the world and to rising inequality in income, but especially in wealth. Certainly this was the argument of Pope Francis in his highly influential 2015 Encyclical, Laudato Si. Looking back this now seems like a high water mark, at least for the time being. Since then the tide of interest in the environment, at least in the media and public discourse has receded. Nevertheless, a great deal of practical activity and investment has been maintained, particularly in renewable energy, the costs of which continue to fall. Whether all this will be sufficient is more doubtful. Then came the Brexit referendum and the election of Donald Trump as President of the United States. Both clearly reflected something deeper happening in these countries – ordinary people taking an opportunity to kick out blindly at the ruling political class and the neo-liberal economic policies that have been pursued there for the last two or three decades. These policies have allowed the rich to grow richer and left stranded the poorer members of society, whether they are in work or not. So the political ground is shifting, not just in these countries but in the wider world as well. And the attention of the media, (and indeed my own attention), has become very focussed on these events. These are not problems for humanity on the same scale as that of the destruction of our environment. But they may represent the beginning of a change in political discourse and social values across the wider world – as the tip of an iceberg in effect. Social divisions and the intolerance of others seem to be increasing. And many feel freerer to voice their long-held intolerance which only serves to exacerbate the vicious circle. In an article in the Guardian newspaper on 1 August 2017 concerning proposals for a Holocaust memorial in London, Sir Peter Bazalgatte (chair of the Holocaust Memorial Foundation) was reported as saying that the memorial would “underline what happens when society breaks down, when law, order, decency and tolerance, and empathy disappear. This is what happened in 1930s Germany, and it has lessons today, lessons about tolerance, lessons about race hatred, lessons for all of us”. It may well happen that the Constitution and institutions of the US prove to be sufficiently robust that Trump’s presidency will be seen as a passing blip in the history of that country – so long as he does not engage in nuclear war in the meantime. And, although the final outcome of Brexit may be the wilful impoverishment of a country whose people cannot yet accept that Britain is no longer immensely powerful and influential on the world stage, this would still not be an event of world importance. Yet the undercurrents driving these events along may well be of great importance and worth trying to understand. Ken Wilber is one of the most original thinkers of our age. In his A Brief History of Everything he traces the path, the hierarchy, of evolution from sub-atomic particles right through to humanity. He points out that each step of increasing complexity, transcends what went before and opens up a potential that could not have been predicted from the prior individual components. So, for example, the various properties of a molecule could not have been anticipated from the properties of the atoms from which it is composed. Likewise the properties of bacteria, in which we already begin to discern ‘life’, could not have been predicted from those of simple molecules. And so it goes on; the ability for self-awareness and abstract thought in human beings could not be anticipated by considering other primates to whom we are remarkably, physically similar. Wilber characterizes each evolutionary stage as a holon; something which is whole in itself, but which emerges from and yet is quite different to the holon lower down the hierarchy. He also argues that transition from one holon to the next is accompanied by struggle and contradiction of some sort. Now we have no reason to believe that evolution has come to an end with humankind. Indeed Wilber argues that, even if individual human beings have maintained a physical appearance similar to our pre-historic ancestors, and no doubt a similar genetic structure, humanity is nevertheless continuing to evolve in its understanding as it passes through increasingly sophisticated phases of awareness. Wilber’s argument is quite detailed, but we can note in particular the similarity with other commentators who have pointed to the Axial Age, the moment in about 3000 BC, when humankind, in different parts of the world, first became aware of the transcendent. This was the moment of the founding of the world’s great religious traditions: Hinduism, Buddhism, Judaism of which Christianity and later Islam are outcrops. Although Wilber makes little reference to him, his ideas on humanity’s continuing evolution echo those of Teilhard de Chardin (notably both priest and scientist) who, in the Phenomenon of Man, wrote about the emerging noosphere. Somehow humanity coalesces into something larger and more complex in which human knowledge and wisdom no longer reside in any particular individual. At a dinner party recently all manner of questions came up to which the reaction invariably was to ‘Google it’. Perhaps we’re already living in the noosphere. Google’s cloud, Wikipedia and so on contain a great deal of knowledge which can no longer be located or associated with any particular individual but rather with humanity as a whole. And if, as some extreme pessimists believe, most of humanity, most individual humans, are wiped out by climate change will human knowledge survive? I like to think it will somehow, somewhere. The noosphere becomes a new holon largely independent of the lower steps in the evolutionary hierarchy. But what has this got to do with the seemingly more concrete problem of the environmental challenges that the humanity now faces? Well it is the first truly global problem, the first to be faced by humanity as a whole, by this new ‘holon’ or de Chardin’s noosphere. No individual or collection of individuals can solve it on their own. Economists would call this a ‘free-rider’ issue, but it a free-rider issue on a scale never before experienced. And, as Wilber would have anticipated, the coming into being of this new holon in such a way that it can act effectively, is a moment of struggle – like a new birth. This is the background against which to see the outcome of the COP21, the Paris Conference on Climate Change which took place in December 2015. It was the first time that representatives of the whole of humanity, the emergent noosphere agreed to act together – albeit for now tentatively and inadequately – against a perceived common problem. It remains to be seen what happens next, but it seems to me that on that occasion a step transition occurred – an evolutionary jump . One could perhaps cite other earlier occasions when the noosphere acted. The proclamation of the Universal Declaration on Human Rights being a candidate, though that was largely the outcome of a group of countries, recently successful in world war, imposing (if that is not too strong a word) on others. Or we could consider Neil Armstrong’s: ‘That’s one small step for man one giant leap for mankind’ in 1969 as he steps onto the Moon. But notwithstanding his sentiment the event was in fact the outcome of a ‘space race’ between two nations, not the action of humanity as a whole. Still, these are unimportant debating points. And to point to the 2015 Paris Conference as an act of the noosphere in no way belittles the hugely critical preparation done by many individuals (other holons, lower down the hierarchy! ), nor the very skillful diplomacy of the French hosts. Personally I would add to this the action of Pope Francis (and his team) in writing his timely encyclical Laudato Si. I believe, though it could never be demonstrated, that this radical, critical but ultimately hopeful document, read and commented upon by millions of people prior to the Conference, had an enormous influence on its outcome. And to me it is significant that this document, with its lyrical description of the beauty of Creation and its insistence on the Earth as a common home for all of humanity, came from the pen of the leader of the world’s largest religious organisation, an organisation which proclaims a set of values somewhat at odds with those by which most of us live our lives. Now dear reader, you may ask: What’s the point of this rather abstract discussion of holons and the noosphere? What does it add? Well for me it shows that there are still new, emergent possibilities, scarcely discerned for now, for humanity as a body, as a new holon, to act in the face of a common problem. And here I think we have reason to hope for the world and for the future of humanity. But just as an atom does not ‘know’ that it is part of a molecule, we may not yet appreciate what is actually happening here. Nevertheless, wealthy individuals and nations may be able to protect themselves for a while against some of the consequences of environmental destruction. Billionaires will be inclined still to fly around the world in their private jets, even while the poor are driven into destitution by the consequences of climate change – one reason why inequality in the distribution of wealth and income is so crucial. Notwithstanding the idea of slow change through natural selection, there is evidence that evolution frequently occurs by such sudden unanticipated jumps. End of the era of mass consumption? Yesterday (18 January) Steve Howard, IKEA’s head of sustainability said that we are witnessing a ‘peak’ in home furnishings – like peak oil (!) Today it is announced that China’s growth rate has fallen to its lowest level, at 6.9%, in twenty five years, primarily as a result of slow down in manufacturing. Are we beginning to see the end of the era of mass consumption? There will certainly come a day, sometime, when people give up worshipping this false god. According to Grant McKraken: ‘Consumer culture perpetuates itself here precisely because it succeeds so well at failure.’ It offers a brief flicker of satisfaction which quickly dies away. Then of course there are the arguments made by Robert Gordon in his famous 2012 article and his new book, that high rates of economic growth, as witnessed over the last 250 years, are a thing of the past – at least for countries on the technological frontier, such as the US and Europe. His explanation is that there is no technical discovery on the horizon that could have anything like the same impact as that of first steam power and then electricity. (The telegraph was a more significant innovation than the internet.) So if we’re going to see decling demand as people get turned off mass-consumption, and declining supply of technical innovation all the government and central banks playing with mirrors will not restore economic growth. A more likely outcome will be, again, asset price inflation which will only further increase wealth inequality. Yet in the West we live in an economy of great abundance. There is no absolute need for people to be homeless or cold or hungry. But there is a need to rethink economic institutions and structures so that thise abundance is shared more equally. For this, at the moment a universal basic or citizen income seems to be the best idea around. In his book The Powers that Be Walter Wink considers the meaning of Christ’s teaching to turn the other cheek. He argues that this does not mean passively to accept violence, but rather to render it ineffective by making the violator look foolish. The proposed legislation on the Fiscal Charter being debated today is fatuous nonsense. For a start the bill says that the government would not run a deficit in ‘normal times’. What are ‘normal times’? Secondly no government can tie the hands of a future government; legislation can always be repealed. No, the purpose of the legislation is primmarily to embarass and trick the Labour Party. Now if the Parliamentary Labour Party had ‘turned the other cheek’, in the sense that Wink understands this, they would merely have refused to debate such a ridiculous, unnecessary bill and would have simply not turned up in the House of Commons – and preferably persuade the SNP to do the same. Osborne and his cronies would then have been the ones looking foolish debating with empty opposition benches and wasting Parliamentary time. Corbynomics – how much more orthodox could he be? Corbynomics, the economic policies being advocated by Jeremy Corbyn and Shadow Chandelor John McDonnell, are far more orthodox and respected by professional economists than those of George Osborne and the Tory government. In the week of the Labour Pary Conference, Dantemag published an article of mine making this point. Click the link here to read the article: Jeremy Corbyn’s economic turn.